Introducing my one-click Lightroom preset collection that will improve your blog and social media photography results INSTANTLY. If you use VSCO Cam on your phone, you will love this collection for use on your desktop or laptop. Achieve 15 stunning looks with a single click and save yourself hours of work. Confession: I am a bit of a bargain addict. I love the thrill and the challenge! Ever since becoming a single mum, I have been trying my best to bring some budgeting balance into my grocery shopping – buying in bulk, sticking to a budget and bargain shopping without giving up on the quality of food we are eating. This is so that we have room for an occasional meal out, a holiday or fun times with friends. Th guys from the $5 Meal Plan have some great resources (i.e. meal plans) for standard and special diets. The best thing about meal planning is the savings you get from buying only what you need and wasting less food. Plus, of course, it takes the guesswork out of the mid-week meals. Speaking of which, I have recently tried a dinner grocery box delivery and absolutely loved it! 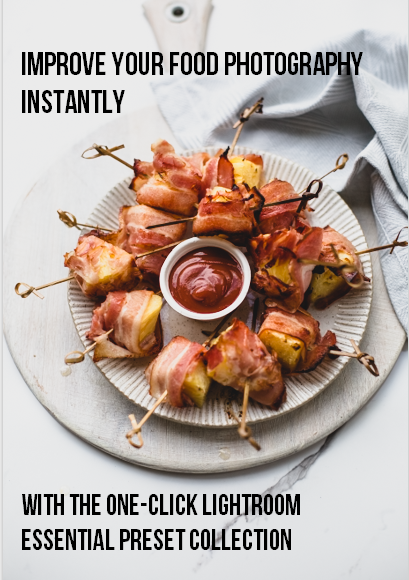 It provided us with the exact ingredients (and matching recipes) for three easy and quick to prepare meals in a week where I was stuck for time and the fridge was semi-bare. We chose the veggie box as I thought I could always have the option of adding some meat to it if I chose. You can save $35 off your first Hello Fresh box delivery here. The Wholesome Cook Shopping List is your perfect Australian fridge, pantry and freezer product guide showcasing the best wholefood products on offer. It is $15 but you can get it for free if you’ve purchased The Wholesome Cook print book) or save 30% off the ebook for subscribing to my newsletter. 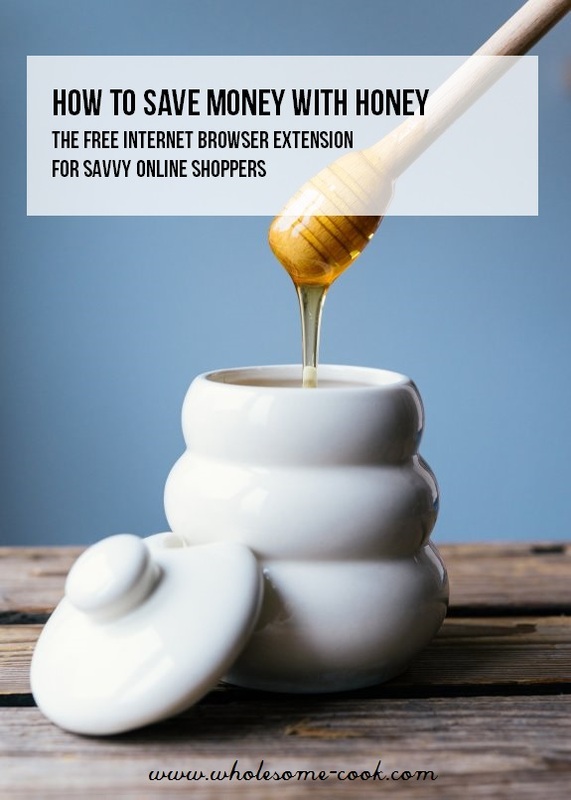 Honey is a Chrome browser extension that automatically (YES!) searches the web for discount codes and applies those codes – if available – to your shopping cart, choosing the best code for your cart! It does not always find current codes, sure, but it has saved me a lot of money without me having to think about it or trawl through those pesky coupon websites and try codes out manually. You can join Honey for free which is amazing! Apart from being the go-to guide for anyone pursuing a creative approach to food and a healthy balanced lifestyle, the book is loaded with tips on buying organic on a budget, using leftovers, using your freezer to its full potential and shopping seasonally (which saves money too). You can buy your copy (with free gift wrap and postage here). Want to start your own blog? Here is what I did. I first started my blog on the free wordpress.com platform but it soon outgrew my need for customisation, so I moved over to wordpress.org and purchased a theme there. I began self-hosting my website (which you have to do if using wordpress.org) with BlueHost and set up my domain, actually ALL my domains, and email with Go Daddy. Later on I had Smack Bang Designs redesign my page but under the hood it’s all the same. WP Ultimate Recipe plug-in is a recipe plug in I started to use recently in place of Easy Recipe Plus. I love its automated user-generated metric to imperial conversions, serving sizes and more. Read more here. For my newsletter sign up and sends, I’ve been using Mailchimp since forever. It’s so easy and when posting fresh content, it does all the sending automatically. Some of the links in this article make use of affiliate relationships – this helps to pay for the research, or ingredients, or any of the behind the scenes gibbledy-gook. This means that when you make a purchase, I will receive a commission at no additional cost to you. Thank you for your support.